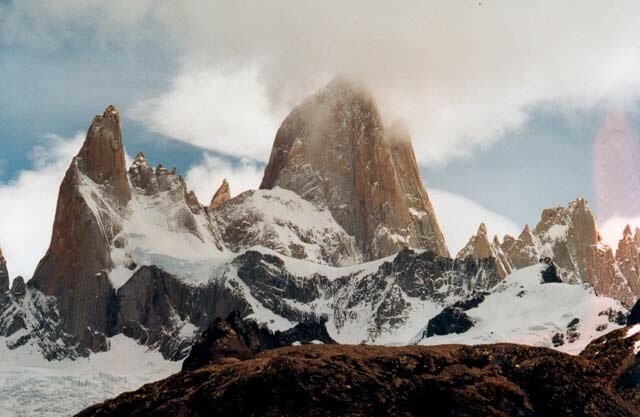 Cerro Fitz Roy or Monte Fitz Roy, is a mountain ('cerro') located near the El Chaltén village, in the Southern Patagonian Ice Field, in Patagonia, on the border between Argentina and Chile. 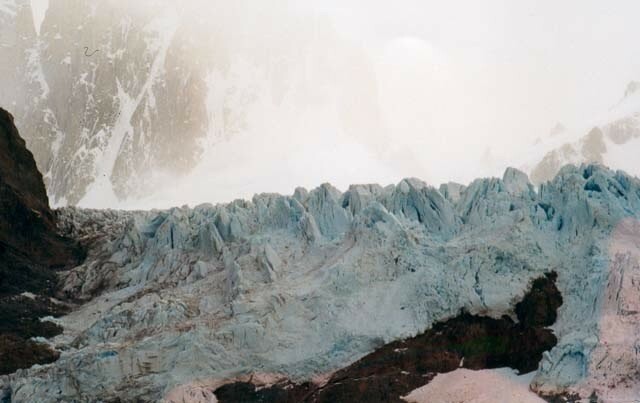 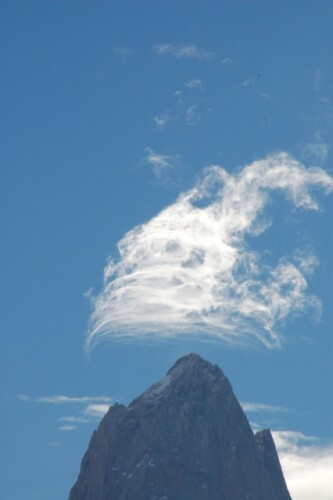 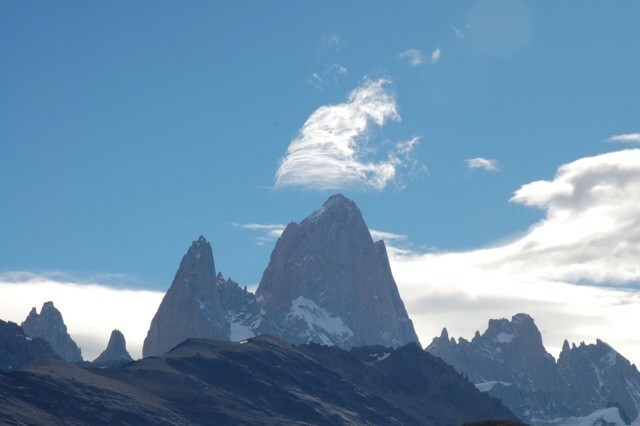 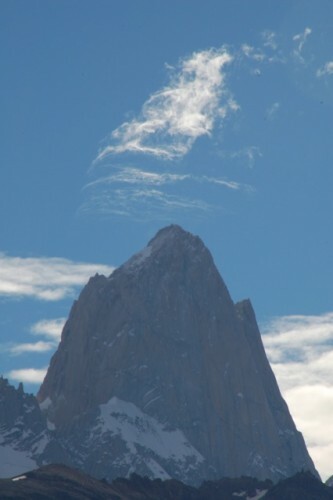 It is also sometimes called Cerro Chaltén, after the Tehuelche (Aonikenk) word meaning "smoking mountain," due to a cloud that usually forms in the top of the mountain. 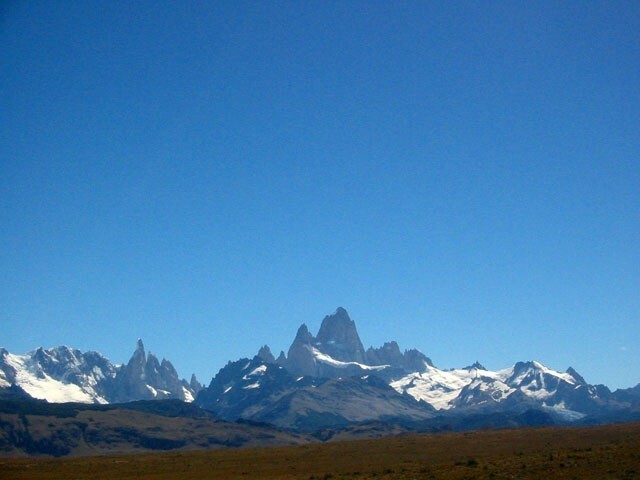 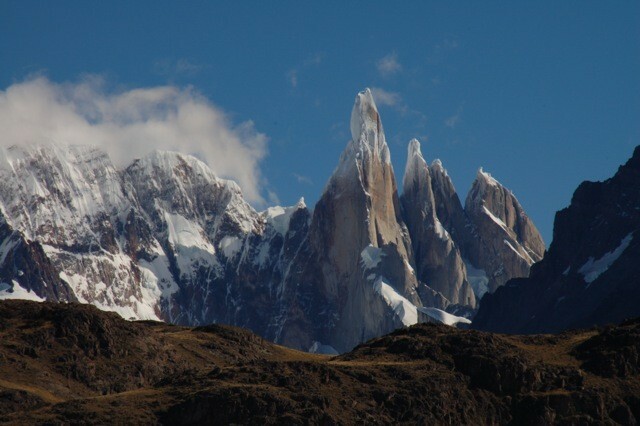 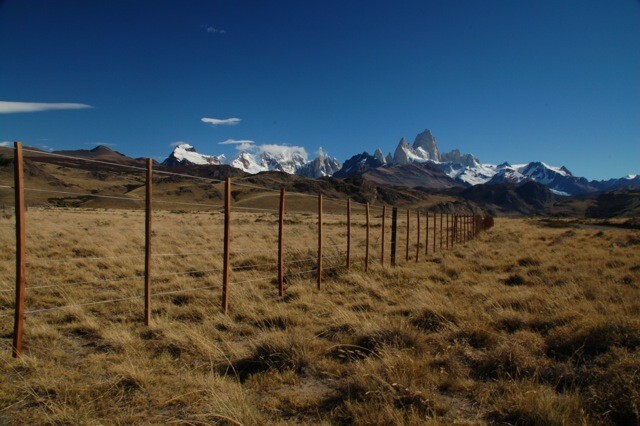 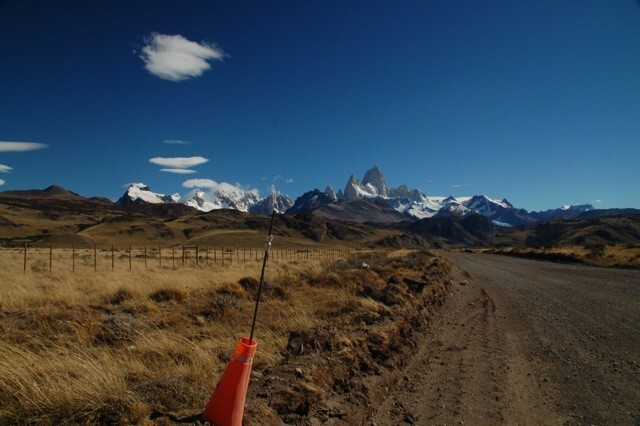 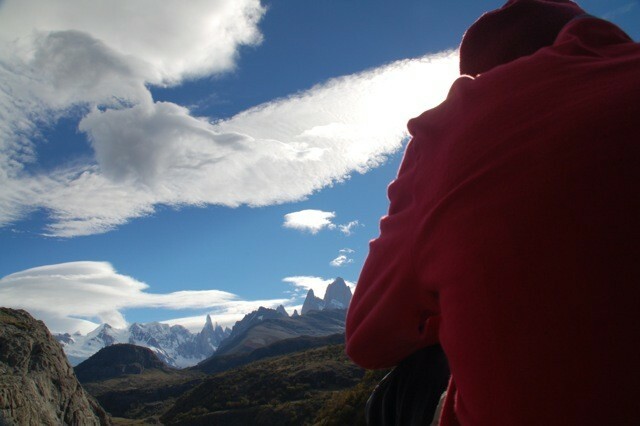 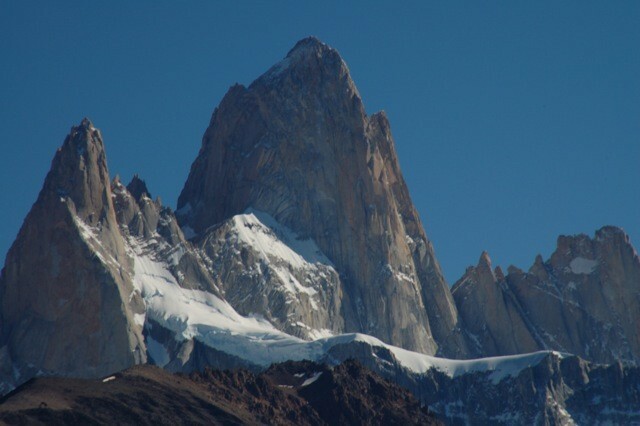 However it was only one of a number of peaks the Tehuelche called Chaltén. 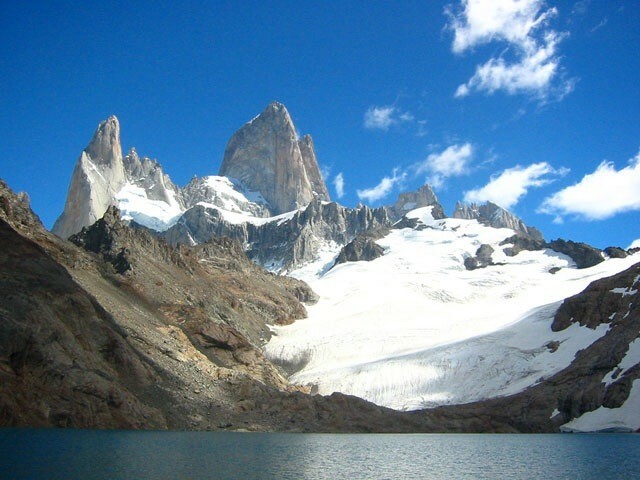 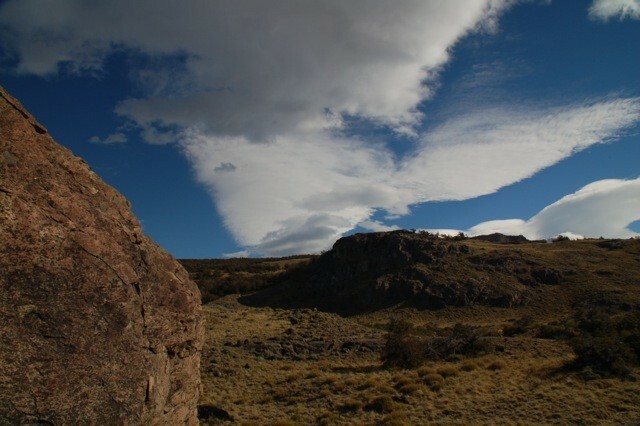 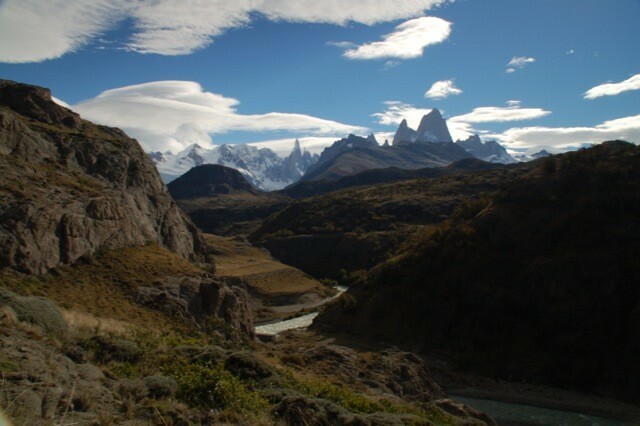 As he describes in his book, "Viaje a la Patagonia Austral", Francisco Moreno first saw the mountain on 2 March 1877. 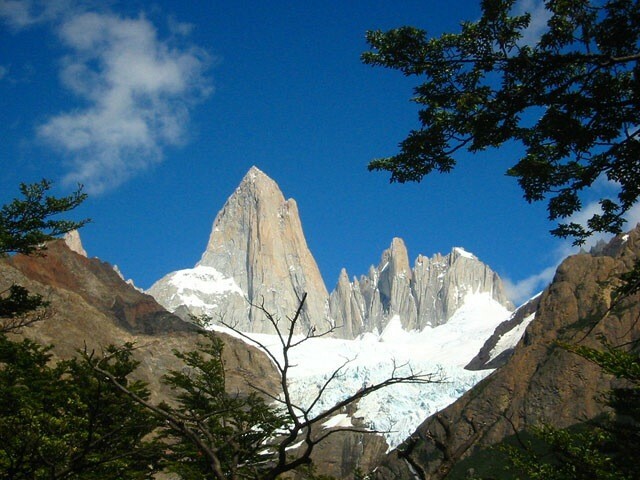 Since the native inhabitants also called other mountains Chaltén, he named it Fitz Roy, in honour of Robert FitzRoy, who as captain of the Beagle had travelled up the Santa Cruz River in 1834 and charted large parts of the Patagonian coast.